Love the no-slip ribbon sweat bands but don't love the price? Good news! We've got you covered on the May Arts blog today. 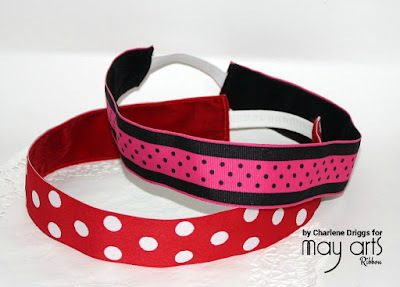 Now you can make one for every workout or night out and you can create them in any width you want thanks to the amazing selection of ribbon at May Arts. Craft show season will be here soon and these would great Christmas gifts!